Home→Books→IRISH DRUIDS AND OLD IRISH RELIGIONS (The Celtic Mythology of Superstitions, Magic, Gods, Worship, Sacred Beliefs, Isle of Man, & etc) – Annotated Who are Celts’ People? IRISH DRUIDS AND OLD IRISH RELIGIONS (The Celtic Mythology of Superstitions, Magic, Gods, Worship, Sacred Beliefs, Isle of Man, & etc) – Annotated Who are Celts’ People? 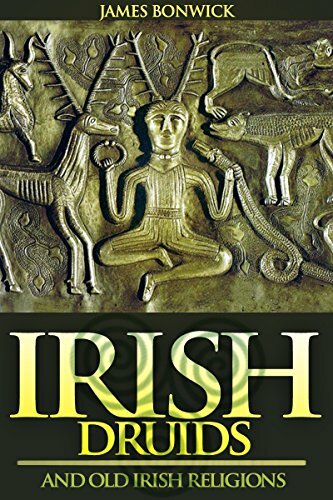 This book is referred to the scholarly perspective on the Druids in Ireland, weaving together strands of mythology and anthropology to build a picture of ancient Irish paganism.